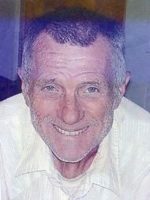 Colin Edward Landells age 82 passed away Friday, October 28, 2016 at his home in Otsego. He was born October 12, 1934 in Kalamazoo the son of Thomas and Marie (Cannom) Landells. Colin served his country in the United States Army. He began his career as a firefighter in Kalamazoo in the mid 1950’s, rising to the rank of Assistant Chief. After the fire and police departments merged Colin served as the Captain of the Patrol Division until his retirement in 1986. During his retirement he had worked for the Allegan County Sheriff’s Office and the county courts. In his spare time he loved to go hunting and was well known for his “hunting condo”. He also enjoyed fishing, golfing, his tractors and barn, taking care of his lawn and following the Detroit Tigers. In 1957 he married Dorothy Bultema who survives. Also surviving are his children, Joette (Gary) Krusinga of Kalamazoo, Jill (Glenn) Moore of Lowell and Jane (Randy) Korthase of Boyne City; grandchildren, Erin (Joe) Licari, Shea (Ashley) Miller, Colin (Amy) Moore, Jake Krusinga and Charlie Krusinga; great-granddaughter, Clara Ruth Moore and his siblings, Marian Murphy and Thomas Landells. Friends may visit with Colin’s family starting at 10:00 A.M. on Tuesday, November 1, 2016 at the Winkel Funeral Home, Otsego until the time of the memorial service at 11:00 A.M. with Celebrant, Bill Rose officiating. Contributions in memory of Colin may be made to Reverence Home Health and Hospice. Lois Maxine Newton age 92 passed away Monday, October 24, 2016 at Alamo Nursing Home. She was born October 26, 1923 in Allegan the daughter of Thomas and Helen (McKee) Mellon. Lois was a lifelong resident of the area and had worked at Kal-Equip for many years. She enjoyed gardening, fishing, camping and doing arts and crafts. On October 19, 1941 she married James Newton who passed away in 1989. Surviving are her son-in-law, Clinton Coburn of Allegan; grandchildren, Julie Coburn-Hatfield and Troy Coburn both of Allegan; great-grandson, Justin (Crystal Edwards) Hall and great-great-grandsons, Kane Hall and Alex Larriuz. She was preceded in death by her parents, husband, daughters, Judith Coburn and Jacqueline Newton and brother, Robert (Audrey) Mellon. Contributions in memory of Lois may be made to Wings of Hope Hospice. 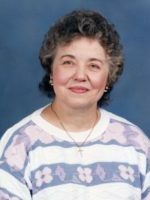 Linda passed away Tuesday, October 18, 2016 at Ely Manor in Allegan. She was born May 16, 1939 in Allegan the daughter of Walter and Florence (Julien) Reed. Linda enjoyed playing the piano and loved spending time with her family. Surviving are her son, Russell (Christy) Clock of Kalamazoo; 6 grandchildren; 5 great-grandchildren; siblings, Glenda Staley and Walter (Vivian) Reed both of Otsego and many nieces and nephews. She was preceded in death by her parents, son, Kevin Clock and siblings, Wilma Cushman, Donna Westfield, Peggy Rex and Mary Reed. Friends may visit with Linda’s family starting at 10:00 A.M. on Monday, October 24, 2016 at the Winkel Funeral Home, Otsego until the time of the funeral service at 12:00 P.M. with Pastor Joe Shaler officiating. In lieu of flowers contributions in memory of Linda may be made to Otsego United Methodist Church. Ralph passed away Saturday, October 15, 2016 in Kalamazoo. He was born July 10, 1951 in Allegan the son of Ralph and Leona (West) Sayles. He enjoyed going to church, fishing and working on small engines. Ralph loved spending time with his family, friends and his dogs. Surviving are his siblings, Donna Fletcher and Leroy Sayles both of Allegan along with many nieces and nephews. He was preceded in death by his parents, his wife, Wanda and siblings, Jimmy, Peggy, Victor and an infant sister, Bertha. Friends may visit with Ralph’s family on Thursday, October 20, 2016 from 1-3 PM and 4-6 P.M at the Winkel Funeral Home, Otsego, where a Funeral Service will be held on Friday, October 21, 2016 at 11:00 A.M.
Burial will follow at Hudson Corners Cemetery in Allegan. Barbara Vickery of Kalamazoo, MI passed away Wednesday, October 5, 2016 at her home in Kalamazoo. She was born February 6, 1950 in Kalamazoo the daughter of Robert and Edna (Robuck) Jacobs. Barb had worked at the Olympia Truck Stop in Plainwell and continued there when the business moved to Otsego. Later Barb became a CNA and for 14 years had worked at Plainwell Pines. 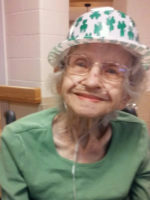 In her spare time she enjoyed electronics and playing Facebook and other computer games. Most of all she loved spending time with her grandchildren. On May 25, 1991 in Otsego she married Floyd Vickery who survives. Also surviving are her children, Paul (Cathy) Jacobs of Plainwell, Michael Westberg of Kalamazoo, Jason (Misty) Westberg of Allegan and Cody Vickery of Mt. Pleasant; 3 grandchildren, Alex, Logan and Zoe and her siblings, Bill, Jim, Bernice, Vernice, Carmen and Sharon. She was preceded in death by her parents, a sister and brothers, Skip and Bob. A memorial gathering to celebrate Barb’s life will be held Sunday, Ocotober 9, 2016 at 3:00 P.M. at the Royal Estates Club House. Contributions in memory of Barb may be made to her family for expenses or to the American Cancer Society. Edward passed away Sunday, October 2, 2016 at Borgess Medical Center in Kalamazoo. He was born July 11, 1925 in Allegan the son of John and Nora (Maher) Guider. 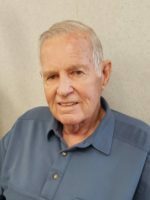 After graduating from Hopkins High School, Ed served his country in the US Air Force as a pilot during WWII, the Korean War and Vietnam and retired with the rank of Colonel. After WW II, he received his undergraduate degree from Western Michigan University and taught math at Martin High School. While serving in the Air Force he earned his MBA from George Washington University and his Masters in Mathematics from the University of Michigan in order to teach math at the Air Force Academy. In his spare time Ed enjoyed golfing on leagues in Michigan and Florida. On June 30, 1945 at Truax Army Air Field in Madison, WI he married Margaret Shipley who survives. Also surviving are his children, Edward Guider Jr of Arvada, CO, Gary (Sandi) Guider of Pinckney, MI, Michael (Lois) Guider of Oviedo, FL, Kathleen (Scott) Broers of Grand Island, NE and David (Olga) Guider of Alexandria, VA; 10 grandchildren, Mike, Matt, Corrie, Mike Jr., Brian, Eric, Jessica, Trenton, Angela and David; 14 great grandchildren; his sister, Mary Jane Velesz and his cousin, Jack Hennessey. He was preceded in death by his parents and many brothers and sisters-in-law. Friends may visit with Edward’s family from 5:00 P.M.to 7:00 P.M. on Thursday, October 6, 2016 at the Winkel Funeral Home, Otsego. Burial of Ashes will take place at Arlington National Cemetery at a later time. 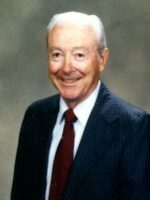 Contributions in memory of Ed may be made to the Air Force Association (www.AFA.org).